Home/Knowledge Base/CMS/How to Install Magento with Softaculous? How to Install Magento with Softaculous? 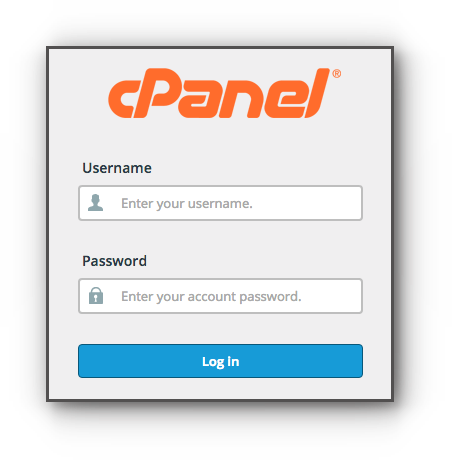 An easy way to install Magento is through the cPanel via Softaculous Apps Installer. Please be guided by the instructions below on how to install Magento with Softaculous. Step 2. 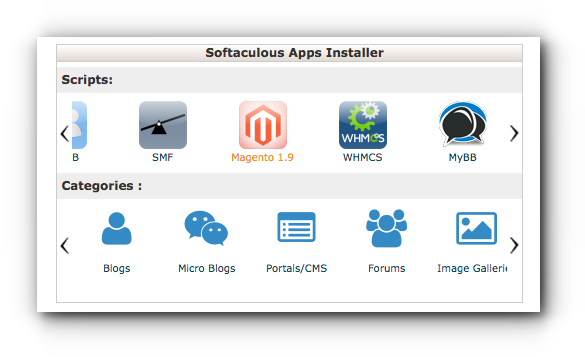 Select Magento 1.9 under Softaculous Apps Installer. Step 3. In the installation page of Magento, click Install. Choose the version you want to install: Select 1.9.2.4 as this is the version that is most compatible with Vodien’s server. Choose Domain: If you have multiple domain names, choose on the desired domain you want to install Magento for. In Directory: This will be the directory where the Magento files are saved. If you wish to have the Magento installed directly to the domain name, leave this portion empty. Step 5. Enter the Admin Username, Password, First Name, Last Name and email address. Step 6. Modify Advanced Options by clicking the plus sign (+). This contains the database name and table prefix. Disable Update Notification – If checked, you will not receive an email notification for updates available for this installation. Auto Upgrade – If checked, this installation will be automatically upgraded to the latest version when a new version is available. Automated Backups – Softaculous will take automated backups via CRON as per the frequency you select. Backup Rotation – If the backup rotation limit is reached Softaculous will delete the oldest backup for this installation and create a new backup. The backups will utilize your space so choose the backup rotation as per the space available on your server. Details of the installation will be emailed to the Admin email address. Click Install. Step 7. Take note of your Magento URL and Administrative URL.